at modern hospitals at the most decent prices. 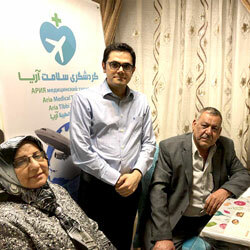 Suffering from cataract and are looking for the best option to travel to Iran for a cataract surgery on a budget? We help you do that by arranging your trip and surgery at the best hospitals. No need to worry about the inconvenience of traveling. We stand alongside you from the moment you step into Iran until you leave the country. To get a free consultation and free quote for a cataract surgery in Iran, fill in the above form. To learn more about cataract surgery, continue reading. Simply put, the term cataract surgery addresses a sort of operation whose purpose is to remove the eye’s lens when it gets cloudy. The lens in your eye typically bends the light rays in order to enable you to see. Having a cataract is the approximate equivalent of having to see through the foggy or dusty windshield of your car, which wouldn’t be a comfortable situation for sure! Through a surgery performed by an ophthalmologist, your cloudy lens is removed and discarded from the eye and replaced with an artificial lens. This surgery is ordinarily regarded as a minor one with minimum side effects; therefore, you would have very little to worry about. Generally, if an individual suffers from blurred vision and has difficulty seeing clearly, they most probably need to have their eyes checked and if confirmed, they had better have the procedure as soon as possible. If a patient has such a condition in both eyes, separate surgeries would be performed several weeks apart on the eyes. What to expect before cataract surgery? The patient will be asked about the medicines he takes. The doctor might ask him to stop using some medications in certain circumstances. Also, eye drops might be prescribed a few days prior to the surgery in order to prevent infection and/or to reduce the risk of swelling during and after the procedure. On the day of the surgery, the patient may be asked not to eat solid food at least 6 hours prior to the time of his procedure. The affected eye would be numbed with the use of eye drops or through an injection to the side of the eye. Certain medications might be given to the patient to help him relax. The patient will be awake during the surgery and aware of some movements and light yet not able to see what the doctor does to the eye; so, there would be nothing much to worry about! Stitches will not be necessary for cataract surgery. The so-called “self-sealing” incisions will naturally heal after some time. Some sort of a patch or shield will cover your eye until your doctor deems that it is time for the cover to be removed. In cataract surgery, a tiny opening is created in the eye through which the natural lens of the eye, which has become cloudy, is removed and is replaced with an artificial lens, known as intraocular lens (IOL). There are different techniques for cataract surgery. A good surgeon discusses with you the differences between the two technique and helps you understand which one is better for you. The first type of cataract surgery is phacoemulsification or phaco. In this technique, a micro-incesion (around 3 millimeters wide) is made at the edge of the cornea. Since the incision is very small, stitches are often not needed. With an ultrasound-based technique called phacoemulsification, the cloudy lens is then extracted through the incision. This technique involves a larger incision (typically 10–12 mm) on the side of the cornea. The cloudy core of the lens is first removed through the opening and the remaining part of the lens is suctioned out. This technique is best for patients who have very hard cataracts or for those unsuited for phacoemulsification option. Also referred to as ‘laser cataract surgery’, or ‘laser-assisted cataract surgery’, FemtoPhaco involves a combination of Femto laser treatment and phacoemulsification. A Femtosecond laser is used during the initial steps of cataract surgery, namely creation of corneal incisions, capsulorhexis, and “softening” of the cataract. The main part of the procedure, however, is still performed with an ultrasound handpiece (Phaco). Having created an incision and removed the eye’s cloudy lens through one of the above methods, the surgeon usually inserts an artificial lens (intraocular lens) into your eye. With no lens implantation, you would become hyperopic or farsighted and have to wear glasses or contact lenses in order to have a clear vision. Cataract lenses come in three main types: monofocal, multifocal, and accommodating lenses. Each type of lens has its own benefits and meets certain needs. To better understand what cataract lens is right for you, some elaboration is needed. Monofocal IOLs are the most common types of cataract lenses. As the standard option for most cases, monofocal lenses have only one focusing distance, depending on your preferences, i.e. near, far, or intermediate distance. Monofocal IOLs allows patients to focus on things at a particular distance. If you suffer from astigmatism, a toric lens (an IOL that is shaped in a particular shape) works better than a standard monofocal lens. It might be interesting that you can get two monofocal lenses for two different distances, which is called ‘monovision’. For example, you can have a lens for far vision and another for intermediate distance. This has its own benefits and drawbacks. While you can see clearly at various distances, you will experience changes in depth perception as the two eyes don’t work together. It is noteworthy that if you opt for a distance or medium distance monofocal lens, you’ll need eyeglasses for reading, and vice versa, i.e. if you choose to improve your short-sightedness, you’ll need to wear glasses for driving, for instance. As the name suggests, monofocal IOLs allow for vision focused at different distances – similar to varifocal glasses. After cataract surgery with multifocal lenses, your need for contact lenses and glasses after cataract surgery is greatly reduced. Most patients (85%) won’t need to wear contact lenses or glasses after getting multifocal IOLs in both eyes. Therefore, multifocal lenses are usually recommended for those who can have them implanted in both eyes. It is most suitable for those who don’t suffer from any eye diseases. Multifocal IOLs often provides excellent near and distance vision. For those who work at a computer all day, for example, this type of lenses is the right choice. Some patients (5-10 percent) who have this type of lens implanted may experience glare or halos at night, especially immediately after the procedure, but they often confirm that they are able to get used to it after a short time. Cataract patients who get multifocal lenses may have struggle with contrast, that is to say, they may find it difficult to read something in dim light. Another disadvantage of multifocal IOLs is that they are not good for patients with astigmatism. However, research has been conducted to develop multifocal toric lenses, though it’s not clear when they will be available for use. The third type of lens used for cataract patients is accommodating IOL. This type of lens functions by moving inside the eye the help you focus on targets at various distances. Accommodating lenses are best for distance and medium distance vision, and is not ideal for short distance. Because of the physical movement, accommodating lenses allow a more natural range of vision compared to multifocal lenses. For a more detailed elaboration on the differences between multifocal lenses and accommodation lenses, take a look at this article. Your vision is expected to improve gradually within a few days after surgery. You may have a cloudy, distorted or blurry vision during the first days following surgery when the eye is healing. It takes a few days for your eye to adjust and get used to the new lens. You’ll probably feel a little itching and discomfort for a few days after surgery. You may need to wear an eye patch or protective shield as instructed by your doctor. Your doctor may also prescribe eye drops and medications to reduce inflammation, prevent infection, and control eye pressure. A day or two after surgery you should visit your doctor for a follow-up. After one week and one month, a check-up by an ophthalmologist will be necessary. Normally after a few days, you won’t have much discomfort. Full recovery typically occurs after some eight weeks. Eye drops will have to be used for as long as your doctor prescribes. Try to avoid soap or water from entering into the eye. The recovering eye must not be rubbed or pressured. The doctor might even ask you to wear sunglasses or a kind of shield for some time. Certain physical activities such as exercising or other activities which require serious involvement of your vision will probably be prohibited after the surgery. These could include driving, reading, etc. Iran enjoys a host of experienced and highly-successful ophthalmologists with golden records. 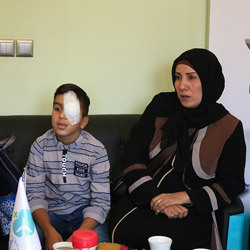 Thousands of successful eye surgeries, including cataract surgery, have been done in recent years by professional doctors in major cities of Iran such as Tehran, Shiraz, Mashhad, etc. According to various studies done on the issue, complications of cataract surgery in Iran has had a decreasing trend during recent years; therefore, one can be safely assured that the highly-equipped medical centers and hospitals in Iran would be the optimal place to have this treatment done. In terms of costs, Iran can be considered among the most affordable countries in which to have such an operation. Not surprisingly, modern hospitals and specialized clinics in various major Iranian cities offer the best care and services to patients from around the world and are considerably affordable as well. A routine cataract surgery, which in fact is a quite commonplace procedure in Iran, would cost something in the neighborhood of 1500 USD for each eye while the cost of the same operation in most European and American countries would amount to at least 100 percent more. For example, the cost of a cataract surgery in the US is approximately 5,000 USD without insurance. Therefore, as one may perceive, having the treatment done in Iran would be the sensible choice for people the world over. We, at AriaMedTour, are honored to be the host of cataract surgery patients from various parts of the world. 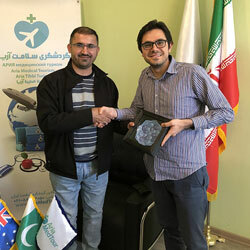 Every year, hundreds of people travel to Iran in search of diverse medical treatments and operations, including eye surgery, and our staff members are glad to assist them through every step of the way from collecting passengers at the airport to arranging their accommodation to providing the information on the intended treatment and the whole process of recovery. With us, you can rest assured that you are in good hands! If you have read the whole article and still have questions regarding a cataract surgery or a cataract surgery in Iran, you can contact us anytime via our communication channels to get a free online personalized consultation from our medical consultants. This way you can have everything cleared up and make your decision whether to have cataract surgery in Iran with the help of us or think about other options. Yes, cataract surgery is one of the safest eye procedures – even for people over 65. During the surgery, there is little or no pain as numbing drops are used. After surgery, when the sedative medications wear off, you will feel a mild discomfort which can be greatly reduced using over-the-counter pain killers. It depends on where you want to have it. The cost of an average cataract surgery in Iran costs around $1500 for each eye. Your own cloudy lens that have been removed cannot be put back, of course. But the implanted artificial lens you receive can be repositioned or even replaced in case there is something wrong with it, which rarely happens. How long does a cataract surgery take? Cataract surgery is an outpatient procedure that takes less than one hour. Can I have cataract surgery on both eyes at once? It is possible but not recommended. Most surgeons ask their patients to wait until one eye heals then come back a few days or a few weeks later for the second eye. Does cataract surgery last a lifetime? The IOL you receive in a cataract surgery typically lasts forever. Can cataract surgery cause glaucoma? Although cataract surgery might cause a rise in intraocular pressure (IOP) in short term (24 hours after surgery), it has been found to cause a reduction in IOP in long term. Therefore, it doesn’t cause glaucoma. Does cataract surgery correct astigmatism? By using toric lenses in cataract surgery, stigmatism can be corrected. There is another technique called limbal relaxing incisions (LRI) for cataract surgery that can correct stigmatism. In this technique, one or more arc-shaped incisions are made near the periphery of the cornea, so that the cornea is gently reshaped into a more spherical shape, hence eliminating astigmatism. Can you have cataract surgery twice? It doesn’t make sense to have a second cataract surgery because once your natural lens is removed during the first surgery, you won’t get another cataract. However, there is a condition called posterior capsule opacity or posterior capsule opacification (PCO) of ‘after-cataract’, also wrongly called ‘seconday-cataract’, in which lens epithelial cells migrate to the posterior capsule and cause dimness of vision. PCO can easily be treated by a non-invasive procedure called the YAG Laser Posterior Capsulotomy. Cataract surgery does not cause dry eyes, but if you have a pre-existing dry eye condition you might have to undergo a dry eye treatment before your cataract surgery to get a healthy tear layer, because dry eyes can have negative effects on the outcome of your cataract surgery. What are the risks of delayed treatment or untreated cataract? If left untreated for an extended period of time, one’s ability to drive or to perform other simple tasks which require clear vision might become affected or the individual might eventually become blind. Thus, make sure to consult your ophthalmologist before it is too late for a suitable treatment.